Ted Strawbridge, the Doncaster U18s coach, did a remarkable job in getting his team to the final of the Inter League Competition. Very few of the players had played Rugby League before being selected for Doncaster but Ted brought the best out in them and a number went on to have a career in the professional game. 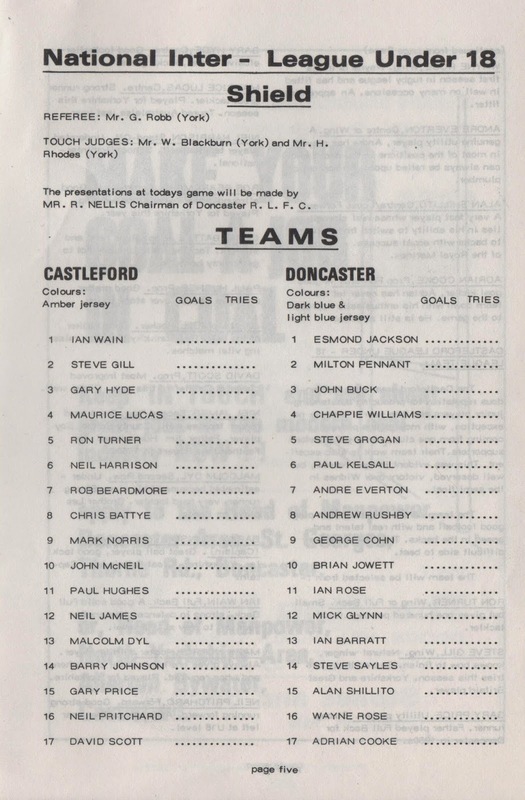 The Castleford team, in contrast, contained a number of players who had achieved representative honours as juniors and went on to play at the highest level. 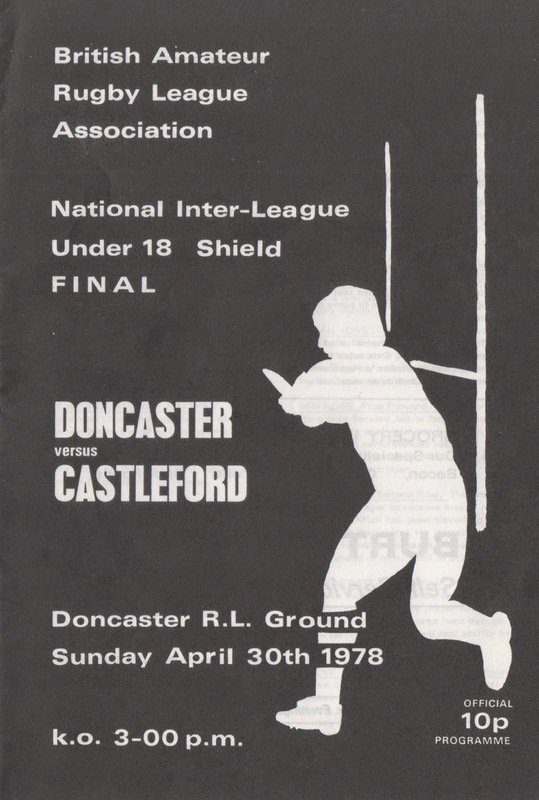 Castleford won the game 9-6 but the Doncaster team were competitive throughout probably helped by the Tatters Field mud! I would like to thank Padraic McNeill for reminding me of the score and the mud.